I'm on a train. Not a proverbial train of life, or some other such metaphor, but a real train - the New Haven to Grand Central Station Metro North train I always ride when going to New York City. It smells terrible. It's old. It's dirty. The seats are ripped and broken. The windows are blurred by years of grime and dust. The fluorescent lighting is depressing and almost useless. Most importantly, it's slow # very slow. For all the talk over the years on The David Pakman Show about transportation, energy, fast European and Asian trains, and political nonsense around the development of faster American rail, there's no better wake-up call to our sad reality than spending over 100 minutes covering less than 100 miles. In several casual conversations over the years, I've realized that while many do see the problem with America's slow trains, putting aside the sparse availability of Amtrak's slightly faster Acela, most do not. Some do consider the forces impeding development of advanced technology high-speed rail transportation here, but too many don't. One impediment is politicians, often lawmakers from the Midwest, even more often Republicans. When specific proposals for development of high-speed rail come up, often 10- or 15-year plans to start laying down tracks that can support higher speeds, these elected officials often decline to participate. This is one specific negative result from the blanket "power of states" so often lauded in conservative and Libertarian ideology. Another often-ignored or missed factor in the lack of momentum on rail is the involvement of transportation lobbies - specifically airline and automobile. My particular location and situation is a perfect illustration of what both of those lobbies want to avoid by preventing high speed rail development. I often travel to Washington, D.C., a 400-mile trip from my home in Massachusetts. I live about 40 minutes north of Bradley International Airport, my "home airport." If I want to drive to D.C., it takes me anywhere from seven and a half to nine hours, depending on traffic. The train from Springfield to Washington takes about eight hours. If I first drive to New Haven (90 minutes) or take a slow train from Springfield to New Haven, and I time it correctly, I can potentially catch the aforementioned Amtrak Acela, which would cut down my travel time somewhat. If I am to take the one-hour flight to DCA Airport, the most convenient airport of entry for downtown Washington, the entire trip from door to door, considering check-in, security and getting out of DCA, takes about three and a half hours, assuming no delays. Currently, my preference is to fly - in fact, I've not gone to Washington any other way since I was 10 years old. It costs about $230 assuming I purchase my ticket early enough, and with parking at the airport for three days, plus the cost of gas getting to the airport, we're talking about $275. This keeps both the automobile manufacturers and airlines happy, because if the train were faster and more convenient, I would certainly opt for it. If trains were faster, airlines would lose out on exactly this type of short trip. Further, for those who live in metro areas, faster trains would mean not only that many people would fly less, they would drive less, maybe even eliminating their cars altogether. For the sake of comparison, let's consider a 200-mile-per-hour train, by no means even close to the fastest trains in the world, which would make the 400-mile trip in about two and a half hours, or slightly more assuming a few stops. Immediately, I would no longer consider flying this route, assuming a similar train ticket cost the $275 I pay to drive and fly, although the ticket cost could realistically be lower. As you can see, airline and automobile lobbies have the strongest of interests in preventing the development of high-speed rail, as do oil giants, as increased rail travel would decrease individual fuel consumption and people's carbon footprints - both of which would be great from the point of view of the environment, logic and reason. What will it take to really get fast, advanced trains in the U.S.? Even if the country finds the political will to start today, we're still years and years away. 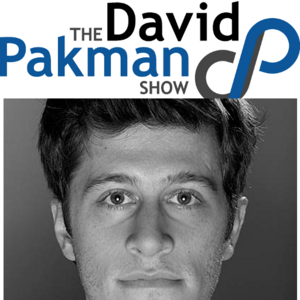 David Pakman, host of the internationally syndicated political talk radio and television program, "The David Pakman Show," writes a monthly column. He can be reached at davidpakman.com. This article was originally posted on The David Pakman Show website: A Wish to be Railroaded.